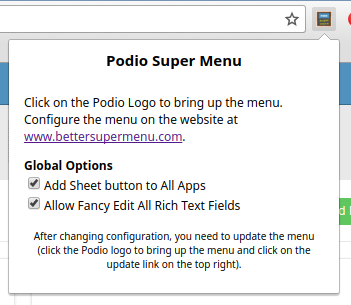 The Podio SuperMenu extension for Chrome can be found in the Chrome Store. Install it like any other Chrome Extension. Once installed, you can open the menu by clicking on the Podio logo when in Podio. To determine what show up on the menu, configure it on this website from the Menu option. You can select which workspaces and apps will show on the menu, as well as determine their colors in the menu by clicking on the cog icon next to each workspace. 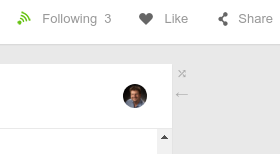 Once done, click on the "Update" option in the menu in Podio. Please note that widgets are selected by name, so make sure you have unique names for each app report. If you select the markdown option in any app, then all multi-line text fields will support markdown images and checkboxes. 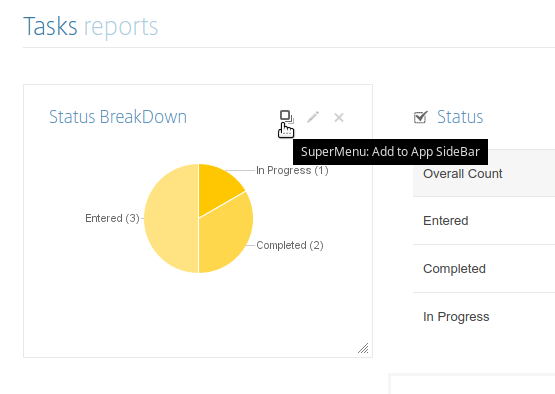 Clicking on the "Edit with SuperMenu" link will launch our editor which allows you have more control over the content. 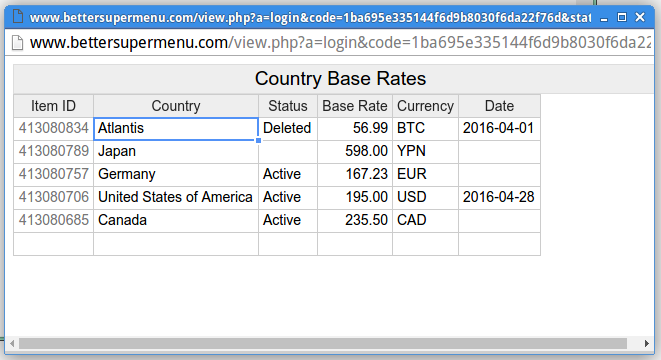 For example, you can paste in images, and create tables. When saving, this content will be displayed in Podio, including images. Images pasted into the editor will be saved to the item's files, however, if you have a hidden image field in the app, then images will be stored there instead, keeping your items nice and clean. Note: Rich Text editing only works on existing Podio items - not when creating a new item. 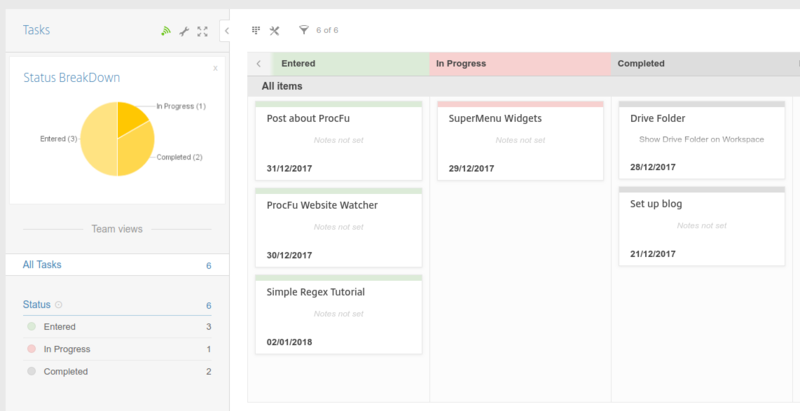 Note that deleting rows is currently not supported, but creating new rows and copy and paste is. 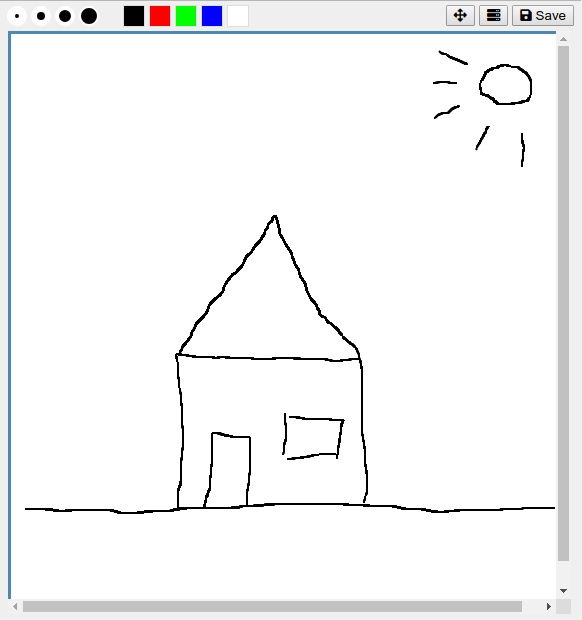 Especially handy on mobile devices, sketching allows you to hand draw quick diagrams to a Podio App Item Image Field. 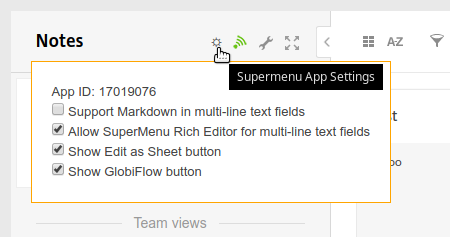 To add the feature to an app, click on the Tools menu option when logged into bettersupermenu.com and select the app and field to install to. This will create a new calculation field in the app which will launch the sketch editor when clicked in any device. You can configure quick access keys for keys 1 - 9 to take you to a specific page in Podio. 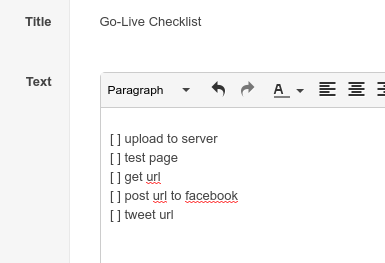 0 is reserved and will always take you to your home activity stream. To configure your shortcuts go to the Shortcuts page on this website . 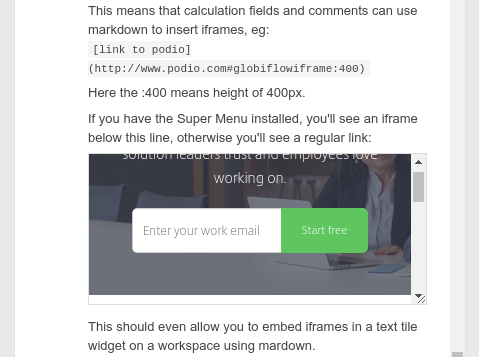 You can embed iframes in Podio by adding a page locator to the url. This can be done in link fields, and in markdown anywhere markdown is supported (eg widgets and calculation fields). The format of the locator is: #globiflowiframe or #globiflowiframe:height, where height can be a number in pixels, or auto for full page height. Using the above syntax for iframes, you can also inject HTML code directly into the Podio DOM using the height of "native".